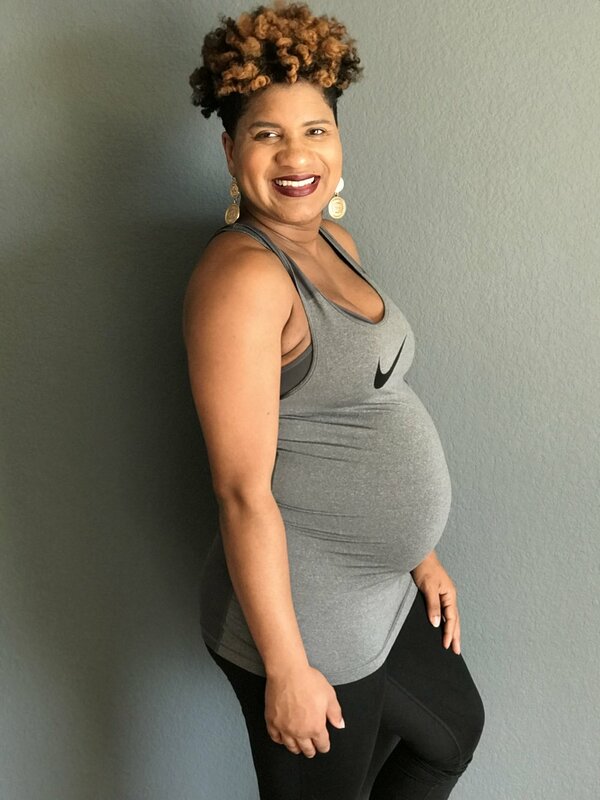 MAMA MARZ | 3RD TRIMESTER, WHO DIS? March - Yay! We're expecting! April - Move to Texas! May - Finally get over the nausea and enter the 2nd trimester! meet the most amazing moms to be in San Fran! July - Plan baby shower with my family! August- 3rd Trimester is here! These last 7 months have been a complete whirlwind. I have no idea where the time has gone but here we are! It's the home stretch, the final countdown, we're here! Baby A has been such a joy in the womb. He or she is about the size of a papaya (about 13-15 inches in length and 1.4-2.2 lbs). I can't even take it! The kicks, punches, and squirms are a feeling I can't describe. I think it's a level of love I just haven't experienced yet. I just can't wait to see his or her face. By the way, I'm back to thinking it's a boy. I can't stop saying "he" when I talk about the baby. Boy you can sure drive yourself crazy with trying to figure it out though. This week in honor of officially being in my 3rd trimester, I thought it would be fitting to take a picture of my belly. I was completely against this in the beginning. I struggled mentally with how my body looked and all the weight I had gained in my face. The small subtle comments people have made about how big my face and body have gotten followed by “but you’re carrying a child,” didn’t help. I've always been a small petite woman. I know for many people it's been a shock to see my body change as much as it has. I'm sure some of you can imagine how I felt. Yesterday I took a leap though. I decided it was time to accept this blessing and embrace it. I'm actually really happy with the results. Alonzo has always been so supportive and he took some great shots. We had fun doing it too! Physically, I've been feeling pretty good! I've experienced some nausea and round ligament pain but most days I have tons of energy and mentally I'm doing well! I've noticed I have to be careful not to do too much, though. For instance, a few weeks ago we painted the nursery and I was on my feet for 2 hours. After that my hands and feet were swollen and cramping. My whole body hurt by the end of the day. I have to learn to pace myself and work on projects in shifts. The heat isn't my friend either. If I'm out walking around I have the same issues with swelling. I also have experienced carpal tunnel in my left hand. My midwife said that it is normal to experience this during pregnancy. I wear a brace at night because that is usually when it hurts. I can never figure out where to put my hands when I sleep. The brace helps to keep my hand in one position though. 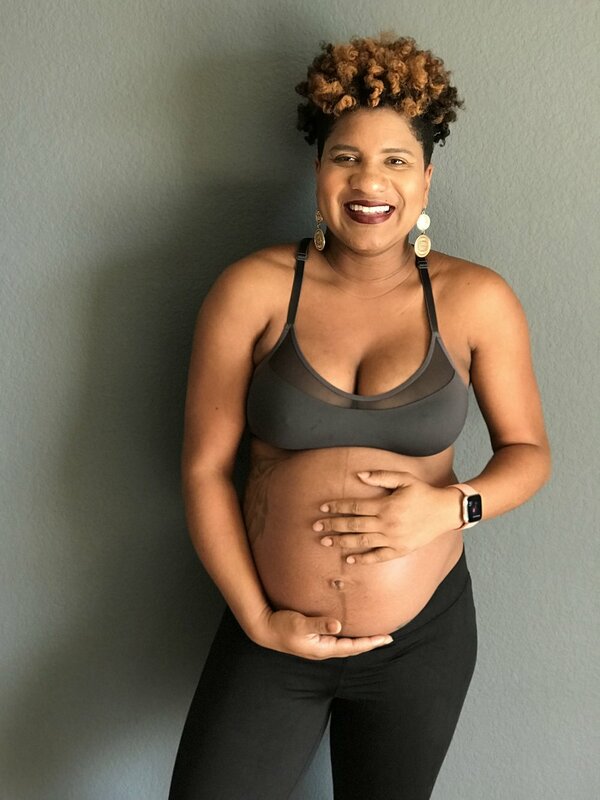 I've learned so much about myself, my body, and others during this pregnancy. A woman's body is an incredible system that I just neglected to really get to know until now. How your body transforms and adjusts during this time is just amazing. I've always had an entrepreneurial spirit. I started my first business at 9 or 10 years old. During this pregnancy more and more I've been drawn to simply living, sharing and inspiring. I started blogging years ago to INSPIRE, not to make money or promote brands. Just to inspire women. I believe it's in my spirit to continue that and continue to focus on my family and close friends. I will always have a business(es) but as far as this blog goes I plan to remain inspirational whether that be through my fashion, my travels, or my journey through motherhood. Our shower is in September in Cleveland! I can't wait! My family has been working so hard to make this such a wonderful day for us and Baby A. I'm looking forward to celebrating and seeing our family and friends. Alonzo and I have been working on the nursery! The crib and mattress got delivered this week, thanks to my mother-in-law. Alonzo assembled it and it looks so cute! The dresser is almost complete. Our last step will be to line the drawers with contact paper. I will share what we have so far in the nursery soon. It's all coming together nicely. We are so grateful for our families and friends for all the gifts we've received so far! It certainly takes a village to raise a child.